If you are expecting a baby, you've got a lot to think about, and it may not even occur to you that you should be adding your teeth to that ever-growing list. However, it is especially important that you visit your dentist regularly during pregnancy, and these are just a few of the reasons why you should be scheduling regular dental exams when you are expecting. Studies have shown that caring for your teeth properly during pregnancy can have a major impact on certain pregnancy issues, including preeclampsia. Visiting the dentist regularly will allow all of the extra bacteria that have accumulated in your mouth to be removed, lowering your risk of a variety of pregnancy complications. When you are pregnant, your hormone levels will be fluctuating quite dramatically, especially your levels of progesterone. This can cause your gums to have a strange response to the bacteria and plaque in your mouth. You may have more plaque buildup on your teeth than usual, and this can cause the gums to swell, bleed, and become sore. If this is left untreated, you may develop gum disease, so it is important to follow up with your dentist frequently to have the plaque removed. Failure to properly care for your teeth can lead to some dangerous consequences for your baby. Studies have shown that poor dental care is connected to premature births, and it can also interfere with proper baby development. Keep your teeth clean and healthy in order to increase your chances of delivering a healthy, full-term baby. 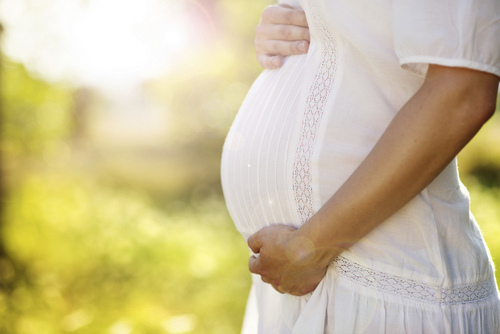 If you are pregnant, contact our office today to set up your cleaning. Both you and your baby are depending on it.